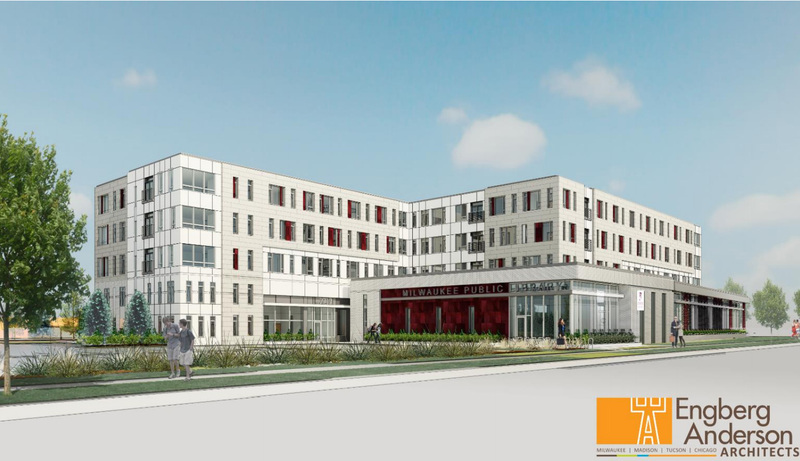 Library will anchor new apartment building on city's far northwest side. Library will anchor new apartment building on city's far northwest side. Back to the full article. Rendering of the Good Hope Library. Colors not final. Rendering by Engberg Anderson Architects.